This sweet and shabby cupcake ornament is hand cast paper that's been painted and generously sugared with Crystal glitter frost. 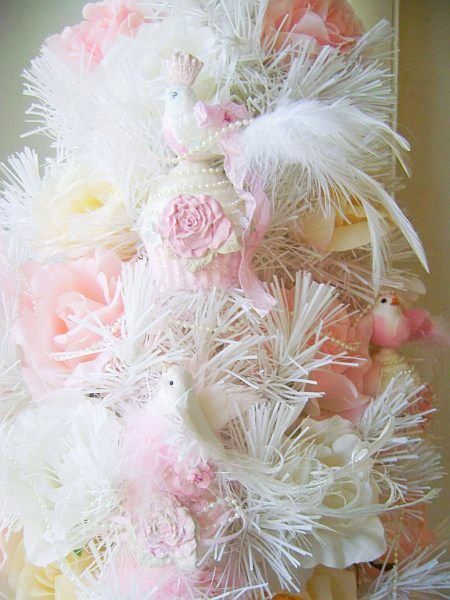 Embellished with sweet, pink, roses, ribbons, pearls and a marabou feather nest. 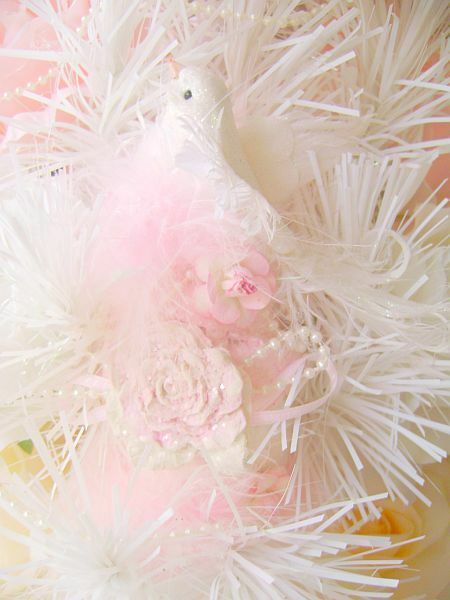 A hand molded, clay rose that's been painted a shabby pink and sugared adorns the front of this beautiful ornament. Perfect for your Shabby Cottage Chic, or Romantic tree!